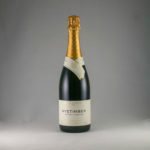 Congratulations to Nyetimber on their 30th anniversary! We’re thrilled to be working with Nyetimber, and to be a part of their journey. Congratulations, and many hearty thanks for the splendid wines so far, and here’s to many more ahead!